Tonight’s guild meeting had a special guest. Knitwear designer and magazine editor Kathleen Dames. She is the editor, along with Ann Podlesak, of Filament magazine. It’s a quarterly publication loaded with patterns. She’s an excellent speaker and very knowledgeable on the teachings of Elizabeth Zimmermann. 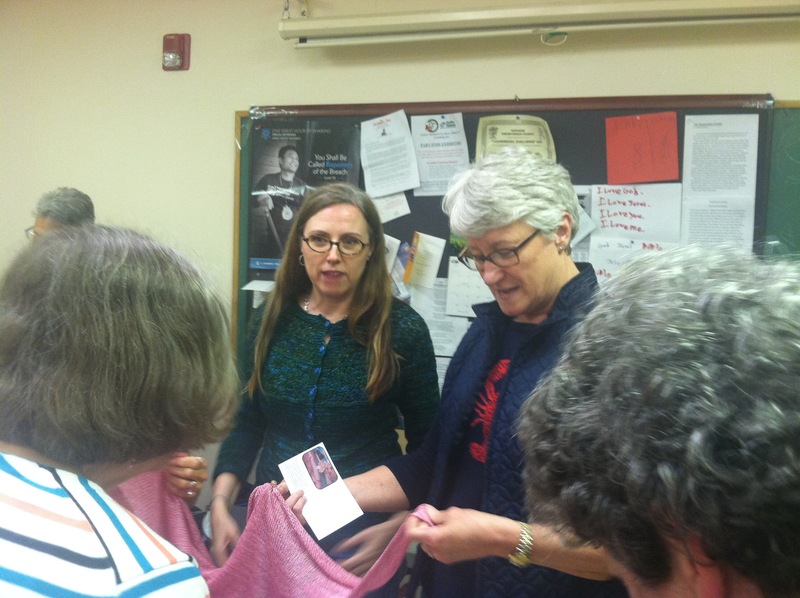 Our guild is spending a year with EZ, so we were all interested in her talk about Pi shawls. 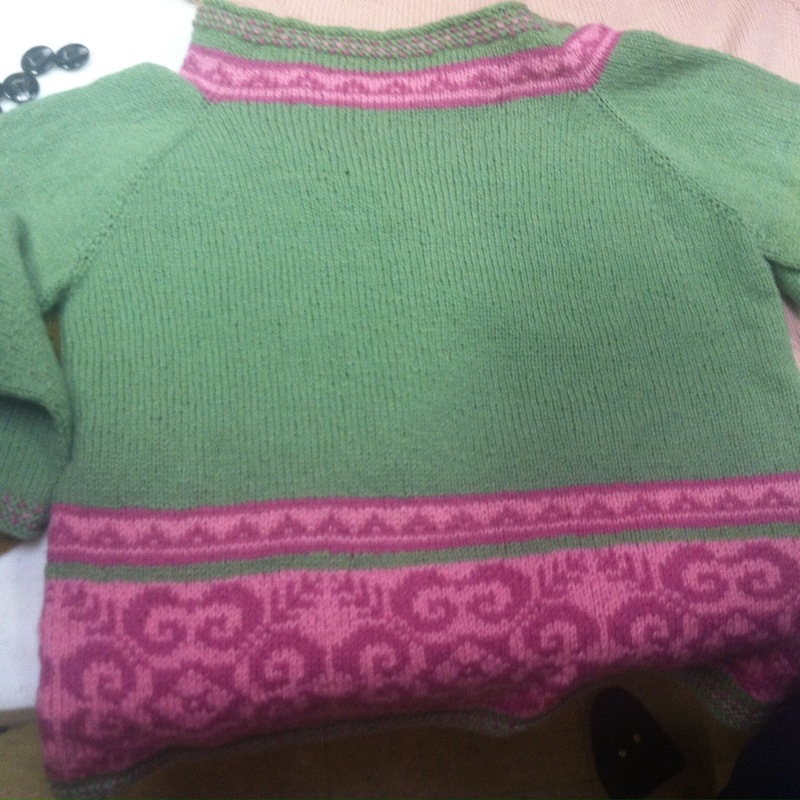 She had beautiful sample knits to show and I drooled over a pullover with colorwork on the bottom. It was a good night. She tells a good story and welcomes questions from the audience. 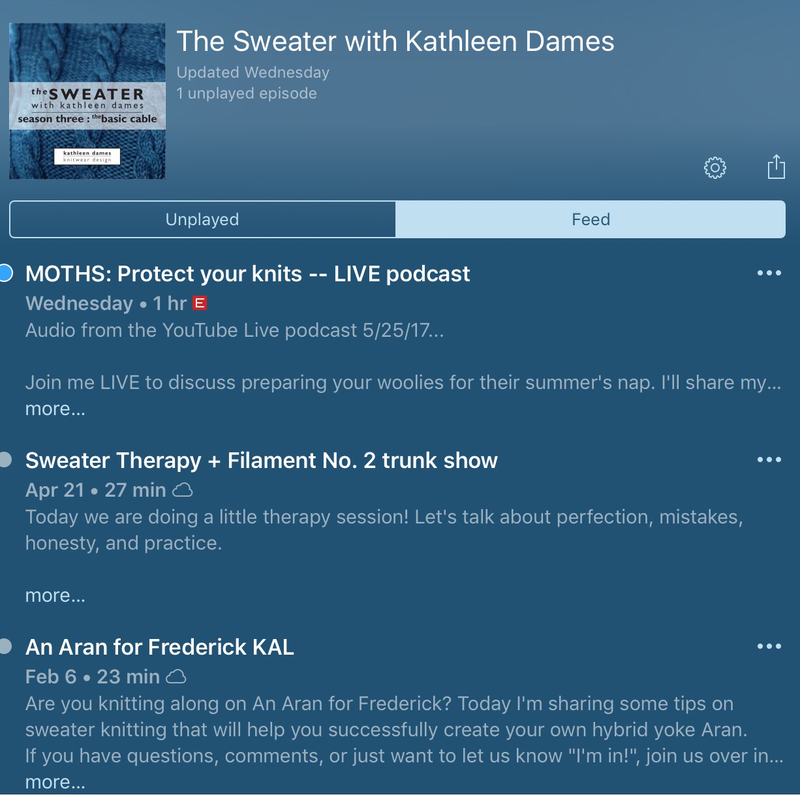 I immediately subscribed to her podcast, The Sweater with Kathleen Dames. I am also looking forward to taking her class this fall at Altman’s Needlearts in Mattituck, NY. 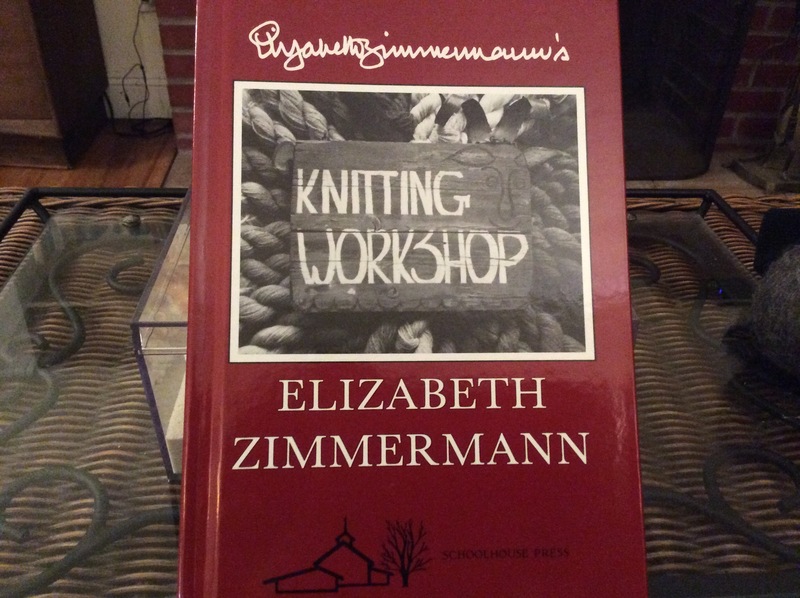 I also got my copy of the Knitting Workshop. I am so anxious to start working from it. Our guild has challenged us to be ready to knit a sweater by September. And I am up for it! 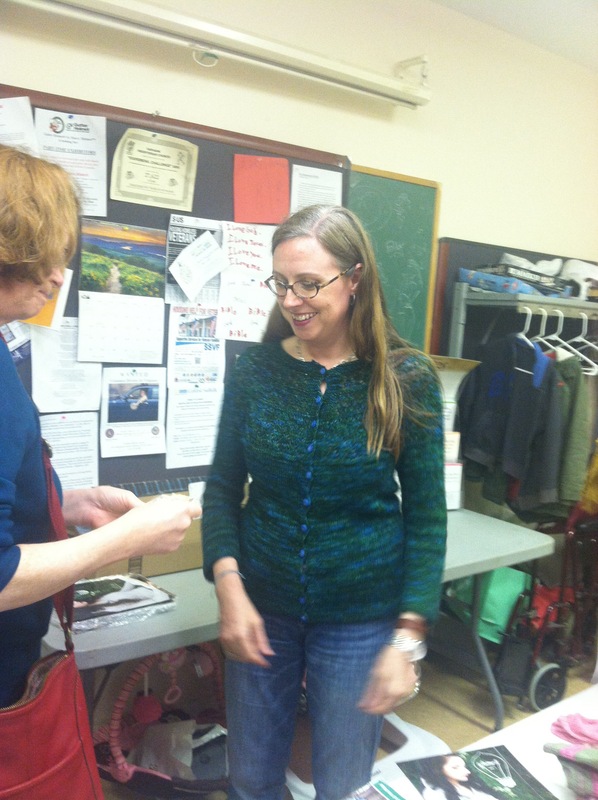 Kathleen Dames at the Eastern Long Island Knitting Guild. 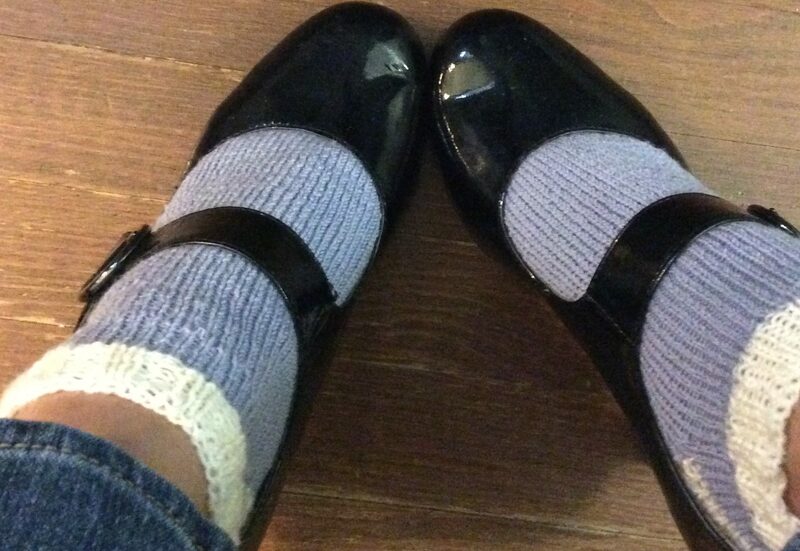 Next Post The Fleegle Heel Is A Hit! I like the colors and design of that sweater.